"What is the Holy Year of Mercy?" 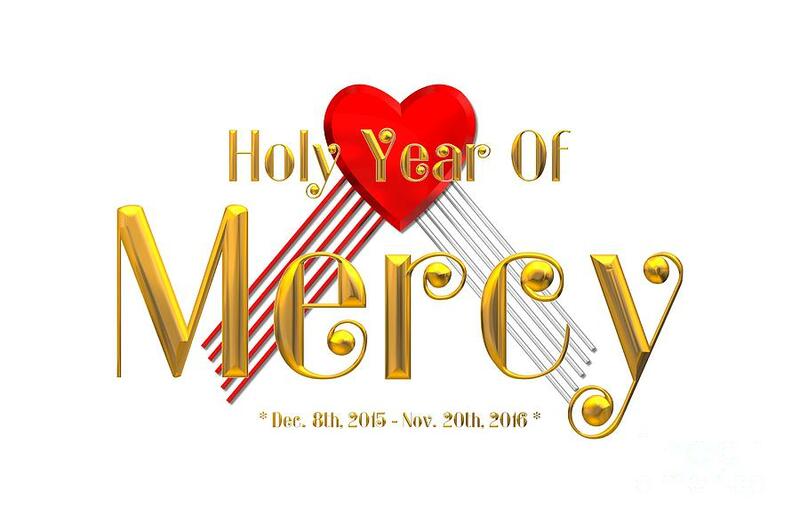 December 8, 2015, marked the beginning of the Holy Year of Mercy, an Extraordinary Jubilee Year. But what exactly does that mean? What is a Holy Year? The Catholic tradition of practicing a Holy Year (Jubilee Year) began with Pope Boniface VIII in 1300; and since 1475, an Ordinary Jubilee has been celebrated every 25 years in order to allow each generation to experience at least one during their lifetime. The Holy Year is traditionally a year of forgiveness of sins and also of the punishment merited by one’s sins. It is also a year for reconciliation between enemies, conversion, and receiving the Sacrament of Reconciliation. Until now there have only been 26 ordinary Jubilees and three extraordinary, the last of which was the Jubilee of 2000. Each has featured a special plenary indulgence. What is an Extraordinary Jubilee Year? An Extraordinary Jubilee can be called for a special occasion or for an event that has a particular importance. The first extraordinary Jubilee was called in the 16th century, and the most recent were in 1933, when Pope Pius XI called one to celebrate 1,900 years of Redemption, and in 1983, when St. John Paul II proclaimed one to honor 1,950 years of redemption after Christ’s death and resurrection. What is a Holy Door? If you kept up with the Pope during his recent trip to Africa, you probably caught the early opening of the Holy Door for the Year of Mercy in Bangui, Central African Republic. Although the Holy Year officially kicked off on December 8, it marked the first time in history that a Pope has opened a Holy Door outside of Rome. Each of the four papal basilicas in Rome has a holy door, which are normally sealed shut from the inside so that they cannot be opened. The doors are only opened during Jubilee years so that pilgrims can enter through them in order to gain the plenary indulgence that is connected with the Jubilee. The rite of the opening of the Holy Door is intended to symbolically illustrate the idea that the Church’s faithful are offered an “extraordinary path” toward salvation during the time of Jubilee. It symbolizes a person’s leaving behind of the world and entering into the presence of God, similar to the way the High Priests in the Old Testament would pass through the veiled entrance of the Holy of Holies on Yom Kippur to enter the presence of God and offer sacrifices. After the Holy Door opened in St. Peter’s Basilica, the other three Roman basilicas, St. John Lateran, St. Paul Outside the Walls and St. Mary Major, were opened as well. In the case of a plenary indulgence, it is a full remission of sins. How to obtain an indulgence during a Holy Year: According to the Apostolic Penitentiary, to gain indulgences (plenary or partial) it is necessary that the faithful be in the state of grace at least at the time the indulgenced work is completed. To receive the Jubilee Year indulgence, you must fulfill the usual conditions (specified below) and perform the indulgenced act: Passing through a designated Holy Door during the extraordinary Jubilee Year of Mercy (between December 8, 2015, the Solemnity of the Immaculate Conception, and November 20, 2016, the Solemnity of Christ the King) and/or performing one of the corporal or spiritual works of mercy. In order to obtain a plenary indulgence, the faithful must, in addition to being in the state of grace: 1) Have the interior disposition of complete detachment from sin, even venial sin; 2) Have sacramentally confessed their sins; 3) Receive the Holy Eucharist (preferably within the context of Mass); and 4) Pray for the intentions of the Pope (a spiritual work of mercy). Ideally, one would go to confession, receive Communion, and perform the indulgence works all on the same day; but it is sufficient that these sacraments, works of mercy, and prayers be carried out within several days (about 20) before or after the indulgenced act. Prayers for the Pope’s intentions are left to the choice of the faithful, but an “Our Father” and a “Hail Mary” are customary. One sacramental Confession suffices for several plenary indulgences, but a separate Holy Communion and a separate prayer for the Holy Father’s intentions are required for each plenary indulgence. Exceptions can be made by confessors for the sick and the homebound. Indulgences can always be applied either to oneself or to the souls of the deceased, but they cannot be applied to other persons living on earth. For more information, please see the articles on the EVENTS page about where to obtain a Plenary Indulgence in the Southern California area for the “Year of Mercy,” as well as an explanation of Church teaching about indulgences.